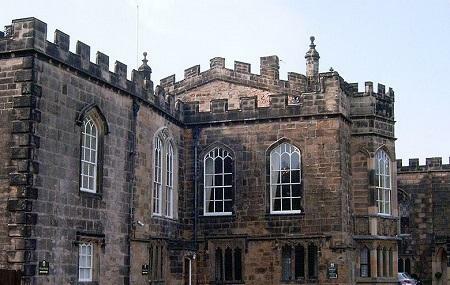 Find hotel near Auckland Castle Deer Hous .. If you are in the UK with family, friends and looking for a historic place to visit, Auckland Castle Deer House in Bishop Auckland is a perfect place to go. Built over 800 years ago, the castle is surrounded by lush green gardens on a 200-acres park land. Open to the public, this is a quiet and peaceful place, for taking a stroll or admiring nature. Located in the countryside, there is also an abandoned English Heritage Deer House which is just a short walk from the Castle. A well-maintained park, this is an ideal destination to enjoy wildlife and some stunning views too. Beautiful and wonderfully, knowledgeable staff. Clean facilities, lovely cafe and gift shop. Would loved to go back. Must be seen. Lovely parc. Thé car park is just 150 m away from the castle. If you are hungry there are nice tea rooms and cafes opposite the tower of Auckland. A 10 minute walk from Auckland Tower in Bishop Auckland. Built in the mid 18th century to provide shelter for the deer around the castle. Beautiful gothic structure and shows the wealth of the bishops of that time. Well worth a visit if you're in the area, also it's free. Lovely little place for walkies! Lots of cafes dotted around, a lovely little town centre. Really interesting architecture and placquards throughout explaining what the buildings are etc.